Floods are the most prevalent natural hazard in Europe. Has flood risk increased in the continent? How, where, and why? Are climate change impacts apparent? How do socio-economic trends and associated land-use and land-cover change impact flood risk? 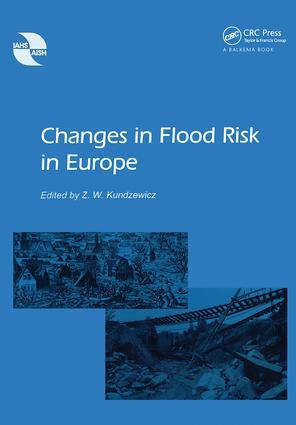 This book considers national and regional perspectives on flood risk change, detection and attribution of change, and the re-insurer's point of view. The book provides challenging data for an audience whose interest is in controlling water and perhaps, especially, for those involved with the “Building – Working – Engineering with Nature” movements. The stated aim of the book is to make as much national information as possible available to a broad, international readership so that comparisons, syntheses and knowledge exchange can lead to a better understanding of what future flood risks may be and how we can best prepare for them. Zbigniew W. Kundzewicz is an authority on floods and climate change, works closely with the IPCC (Intergovernmental Panel of Climate Change), is a member of the Advisory Board on the Environment of the European Union Seventh Framework Programme, and is the co-editor of Hydrological Sciences Journal. He is a Corresponding Member of the Polish Academy of Sciences (PAS), Professor of Earth Sciences and Head of the Department of Climate and Water Resources at the Institute for Agricultural and Forest Environment, PAS, Poznan, Poland, and an associate of the Potsdam Institute for Climate Impact Research (PIK), Potsdam, Germany.